Steven Manchester sets his characters up against impossible odds in his newest novel, Goodnight, Brian. The inspirational novel is focused around two main characters, though the supporting cast list is quite extensive. Brian is a child who was poisoned by a soy product as an infant which resulted in a mental disability. Mama is the grandmother who refuses to give up on her grandson, pushing him to defy the insurmountable odds. Brian is a lovely boy. The story is never told from his perspective, but readers are able to see his emotional standpoint. His actions speak louder than anything he dares to say. He's a child who is full of love, over generous, supportive, open, and unbelievably resilient. Mama is the epitome of tough love. She knows that the only way Brian will excel expectations is to be pushed. If he's treated like a learning deficient child then he will act like a learning deficient child, is Mama's motto. She's determined to teach Brian everything that doctors said he would never do. 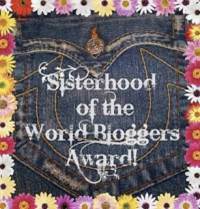 Readers will love her feisty personality, her never-give-up attitude, and her faith. The plot of the novel covers the time between Brian's birth and (close to) Mama's death. Manchester shares Brian's struggles and accomplishments, while also showing Mama's faith and the family's hard work. Because the book covers such a large span of time (roughly 18 years) then sometimes the story seems to jump around a lot, which can be a bit confusing. Though the chapters are all accompanied by a year to keep everything in a timeline. The character interactions seem stiff at times but this doesn't stop Manchester from getting his point across to the readers. There are many life lessons within the pages of this book that everyone should learn. Highly recommended. 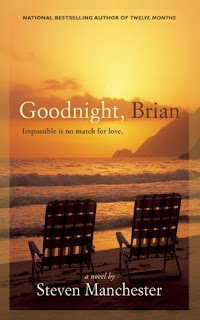 Tracy- many thanks for the amazing review and for sharing Goodnight, Brian with your readers. I really hope they enjoy it!